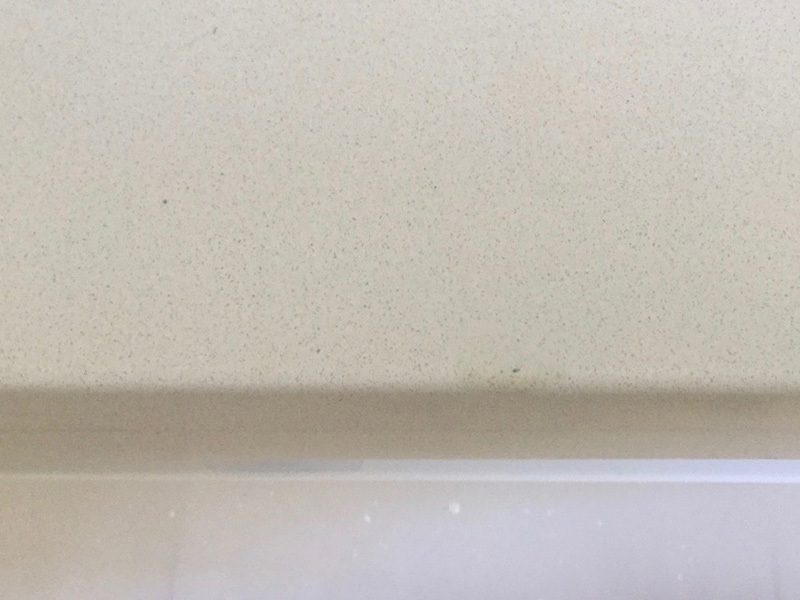 Does your marble or Caesarstone benchtop need Stone Repairs? The Marble Man is a specialist in stone repairs. 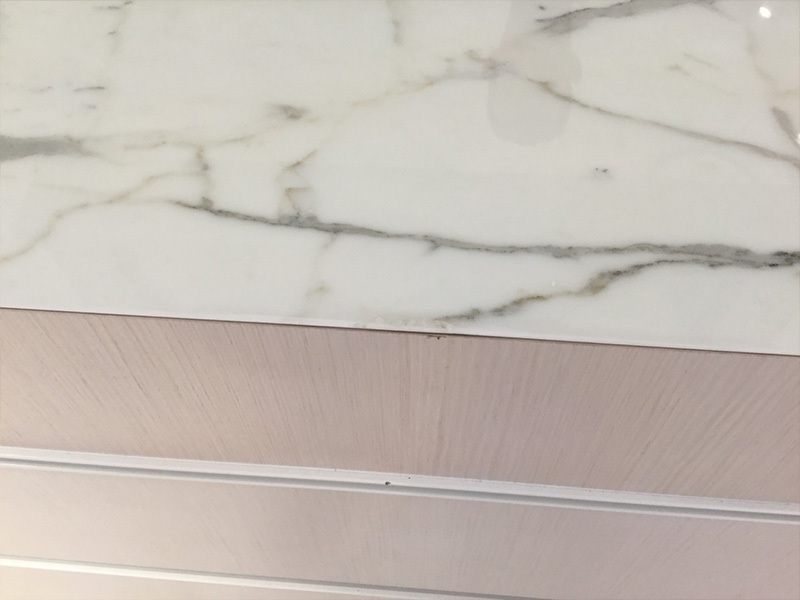 Natural marble, granite, limestone, travertine, onyx and engineered Caesarstone, Essastone, Quantum Quartz, Silestone and HanStone are strong materials however kitchen benchtops and bathroom vanities made from these stones can still chip and crack. Kitchen benchtops can also require adjustment to accomodate new appliances such as stoves, reshaping or joint repairs. The Marble Man Technicians are specially trained to use the latest technology UV repair equipment for marble and engineered stone repairs. A special resin is colour matched to the stone and sets hard under the UV light. 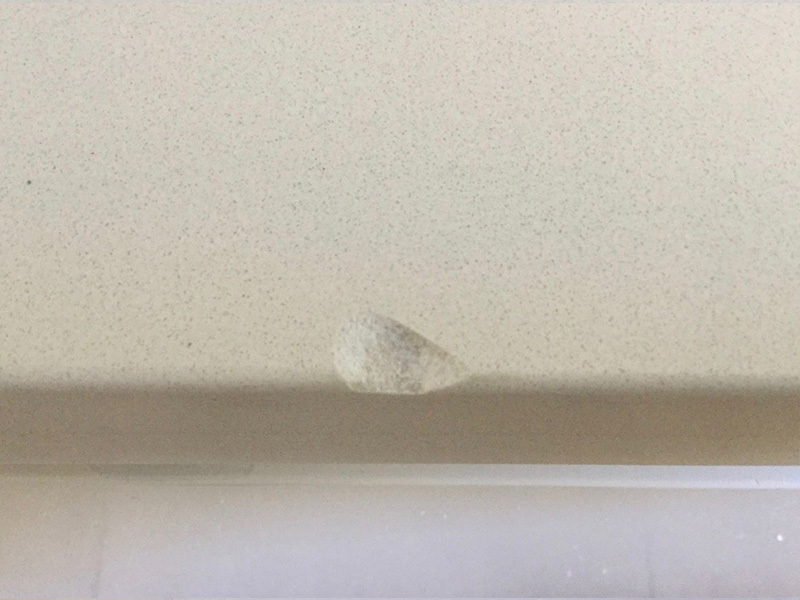 Depending on the degree of damage, the chip or crack in the marble, Caesarstone or other stone surface can often be virtually undetectable. Our Technicians also specialise in stabilising cracked marble, granite and engineered stone benchtops. The stone is realigned and strengthened using a variety of techniques. 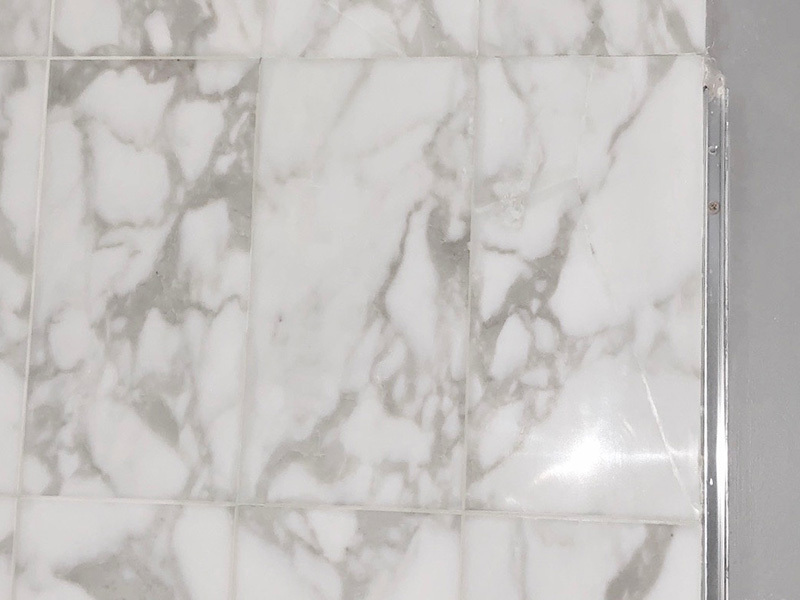 Will Stone Repairs improve the look of your marble floor tiles? The Marble Man commonly carries out stone repairs on floors tiles made from marble, limestone, travertine, granite and many other stones. Tiles are subject to daily wear and tear and can often chip and crack and grout can become damaged. Foot traffic, furniture movement and items being dropped on the floor tiles can chip and crack the stone tiles. Tile movement, age and deterioration of silicone expansion joints can also cause damage to tile grout. 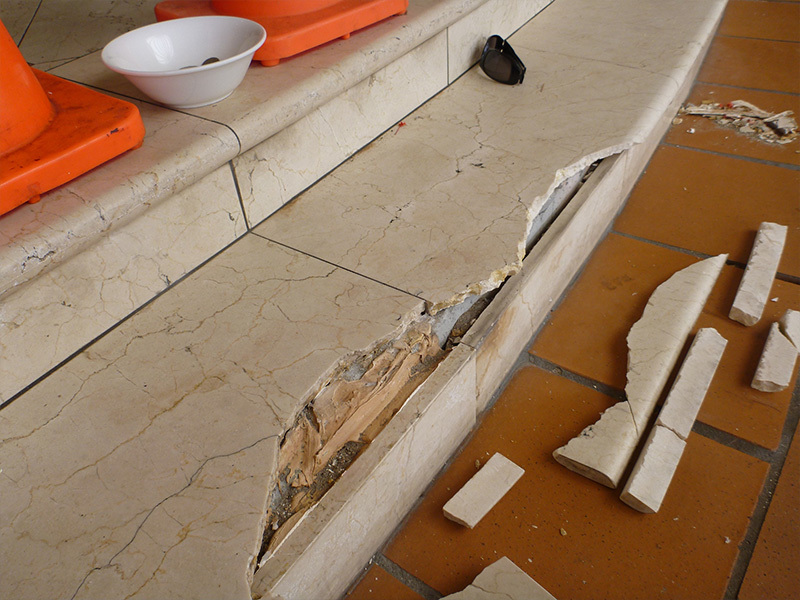 Professional stone floor repairs by The Marble Man can reverse this damage. Specialised processes have been developed by our Technicians over the past 27 years to successfully repair stone floor tile chips, cracks and damaged grout. 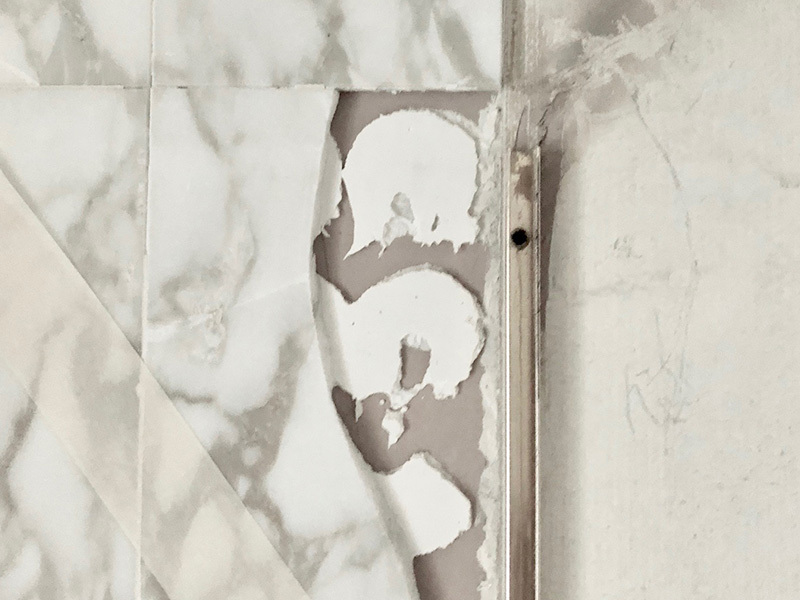 The Marble Man will replace or recolour your damaged grout and silicone, repair chips and cracks with special glues and resins and where possible return damaged marble, travertine, limestone and other stone floors to their original flawless state. Our stone repairs will extend the life of your stone so you can avoid replacement for longer. Could Stone Repairs eliminate damaging leaks in your showers? The Marble Man is often required to carry out stone repairs on shower tiles and bathroom surrounds. Marble, limestone, travertine and other natural stone shower tiles look stunning when they are new or recently polished, however they can sustain damage during daily use. Heavy items such as toiletries will chip or crack stone tiles when dropped on them. Grout can also become loose over time due to age and the varying temperatures and moist conditions, requiring stone repairs. Silicone can become mouldy, loose and dirty. Damage such as this can not only negatively impact on the look of the stone shower, it can allow water to seep under the tiles. The Marble Man can repair chips and cracks on stone shower walls and floors and bathroom surrounds using advanced UV technology. Our skilled Technicians can replace old, mouldy silicone and recolour grout that has lost its original colour. 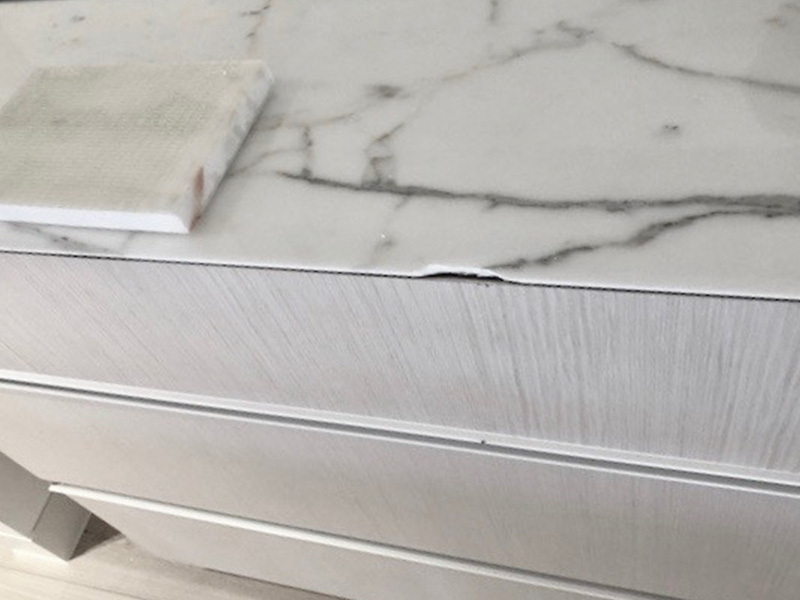 Would your marble furniture benefit from Stone Repairs? Coffee tables, dining tables and ornaments made from natural stones such as marble, onyx, serpentine, travertine, limestone and granite are often beautiful show pieces but can be quite delicate and susceptible to chips, cracks and breaks. Travertine used for table tops has naturally occurring pits and holes which may need to be filled. Filling gives the stone a smoother look and collects less dirt. 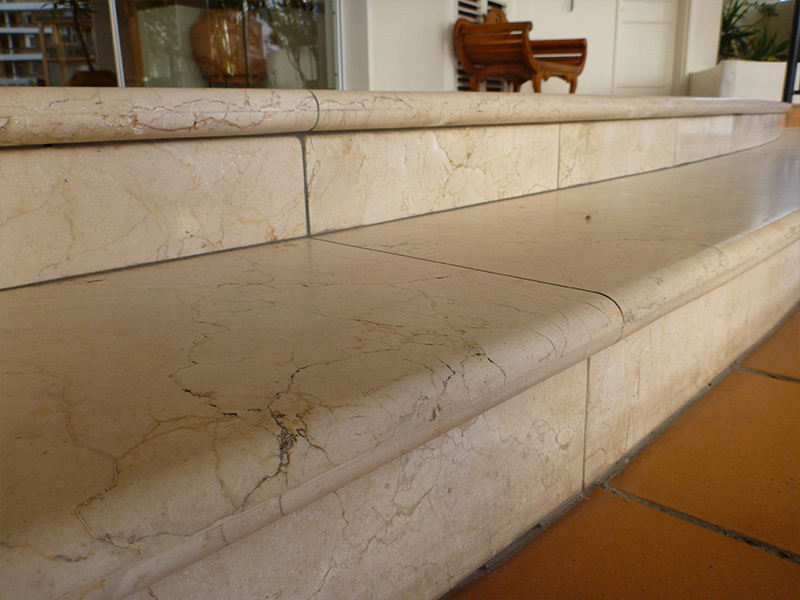 The Marble Man specialises in carrying out these types of stone repairs to furniture. We can return the functionality and aesthetic appeal of the item using special resins, glues and colour pigments. We are experienced in colour and texture matching of the stone to achieve the best results. The Marble Man Technicians have developed a variety of techniques over the past 27 years to repair stone furniture and ornaments. We use the most advanced equipment and products to obtain the best, most effective results. Our aim is to prolong the life of your existing stone so you don’t have to replace it. We take care of your precious stone so that you can enjoy it for longer. Whether you have granite, onyx, travertine, limestone or any other natural stone furniture, we will do our very best to ensure our stone repairs bring your stone back to life.